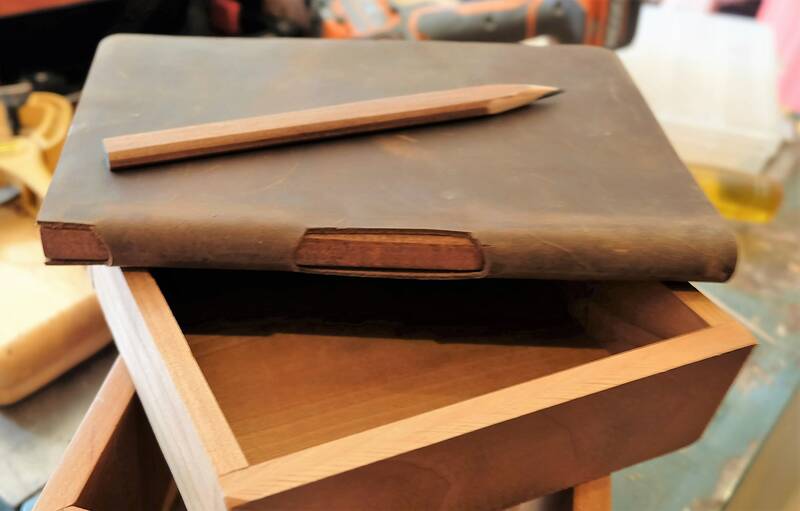 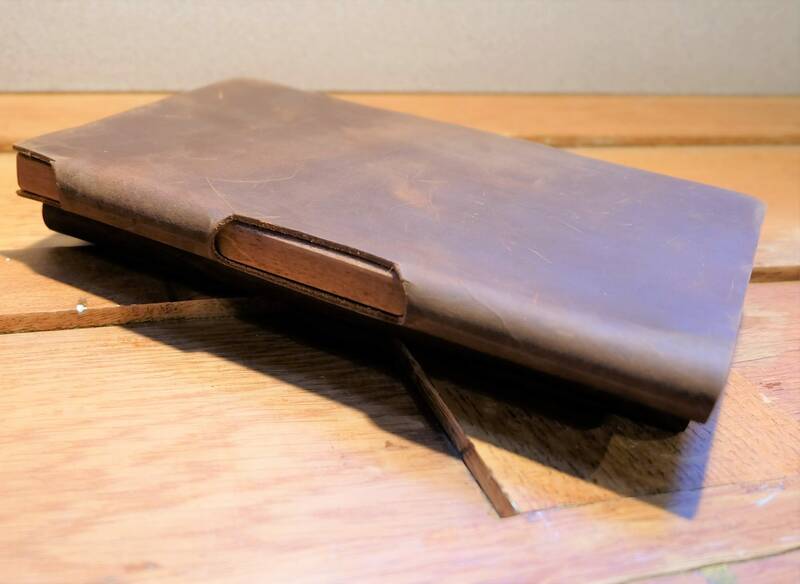 Leather Carpenter Notebook is both handsome and useful. 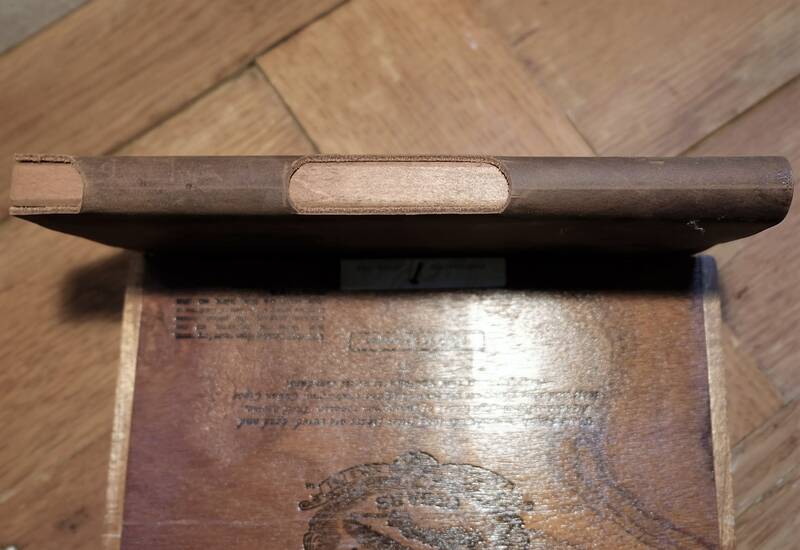 Cut-out rustic leather spine reveals a portion of the natural-finished, wooden carpenter's pencil stored within and gives this book an interesting wood detail. 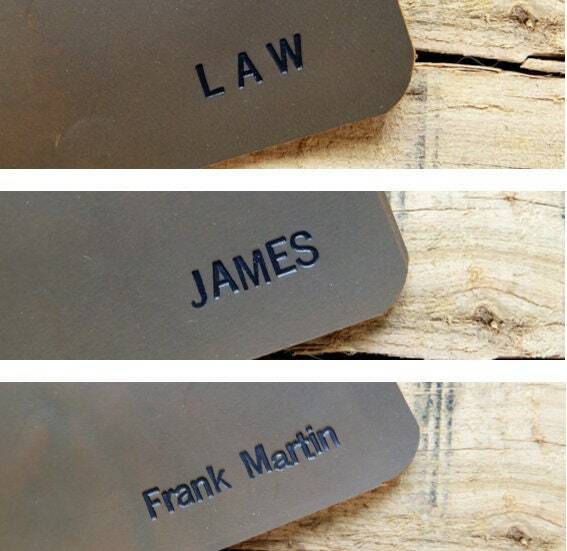 Includes personalization embossed in black. 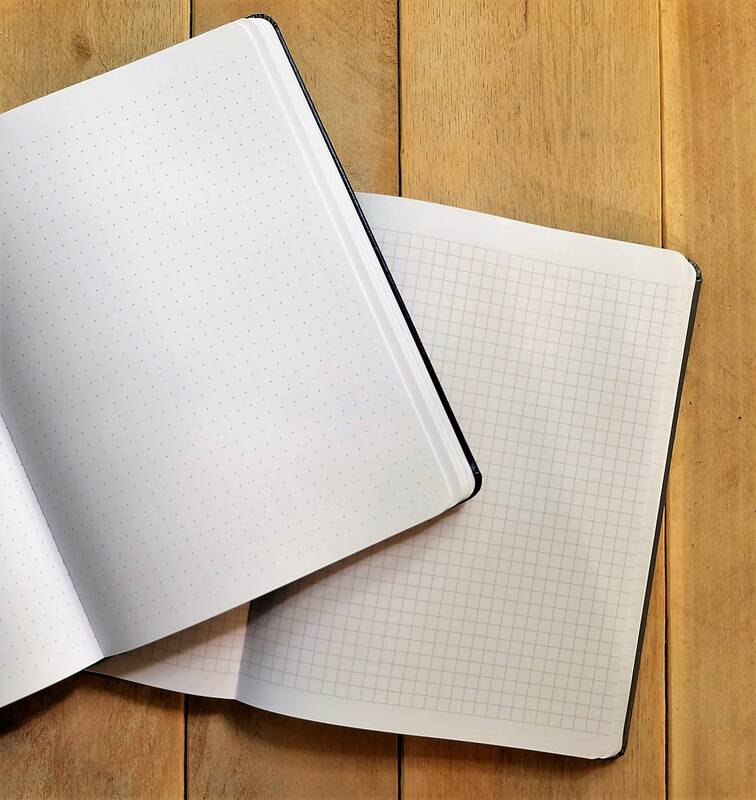 Choose personalization type in drop-down menu, and fill in the "personalization" box. 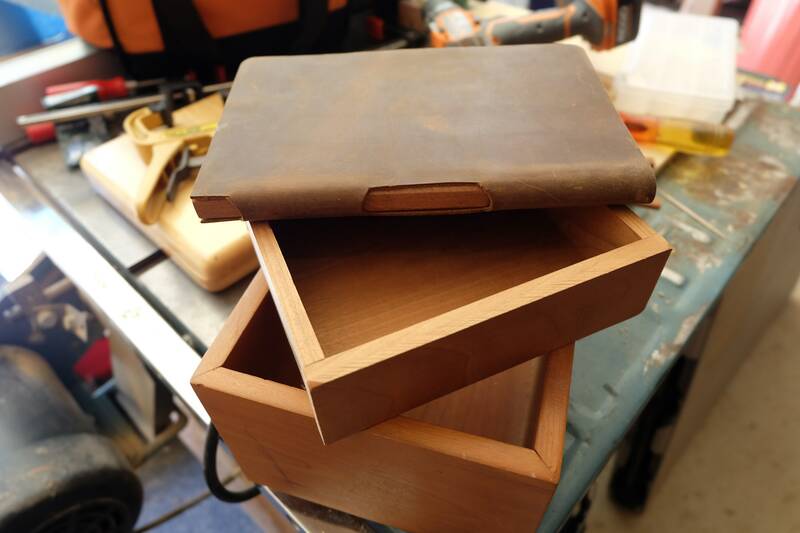 Tool box, lunch box, glove box, tackle box - easy to carry, measuring 8" tall by 6 1/4" wide. 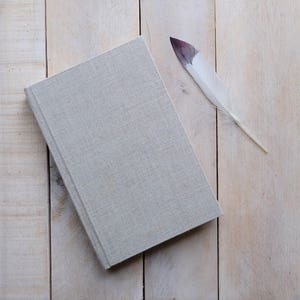 All natural distressed brown leather covers a rounded corner sketchbook, lined journal, dot grid or graph paper notebook of 249 pages. 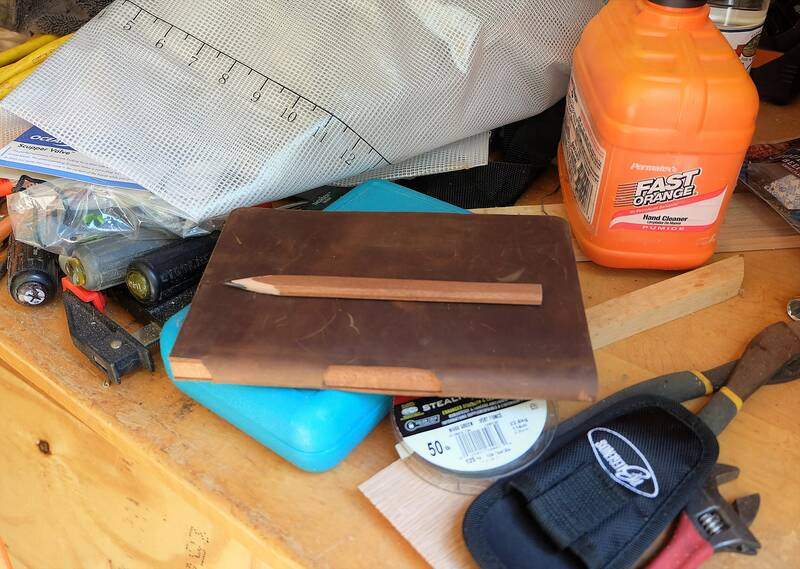 Will hold years of designs, measurements and calculations. 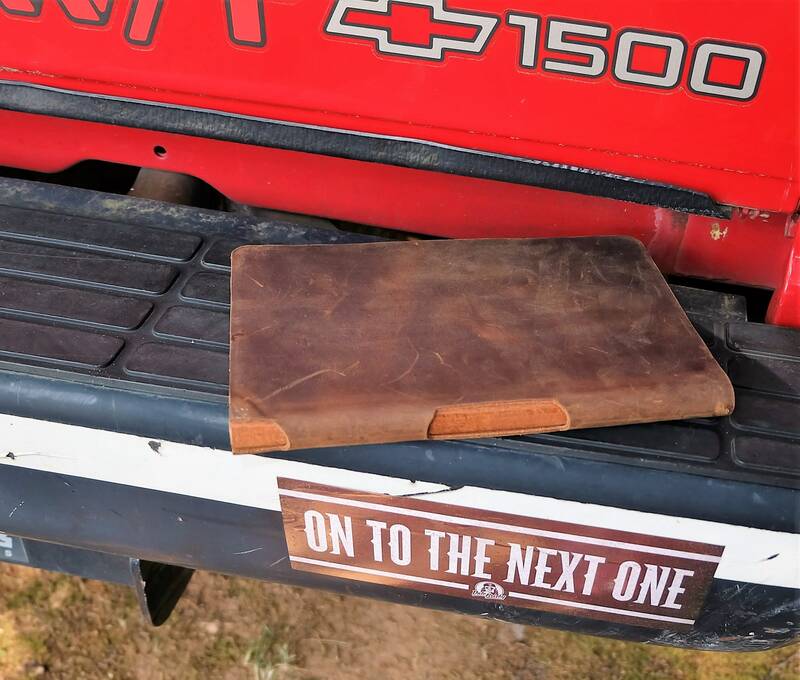 Durable, stone-finished leather wipes clean with a damp cloth, but gives you that beautiful patina that comes from use and hard work. 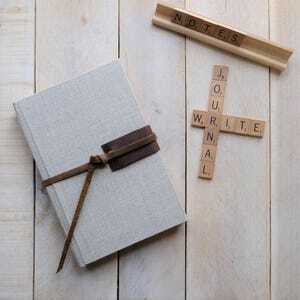 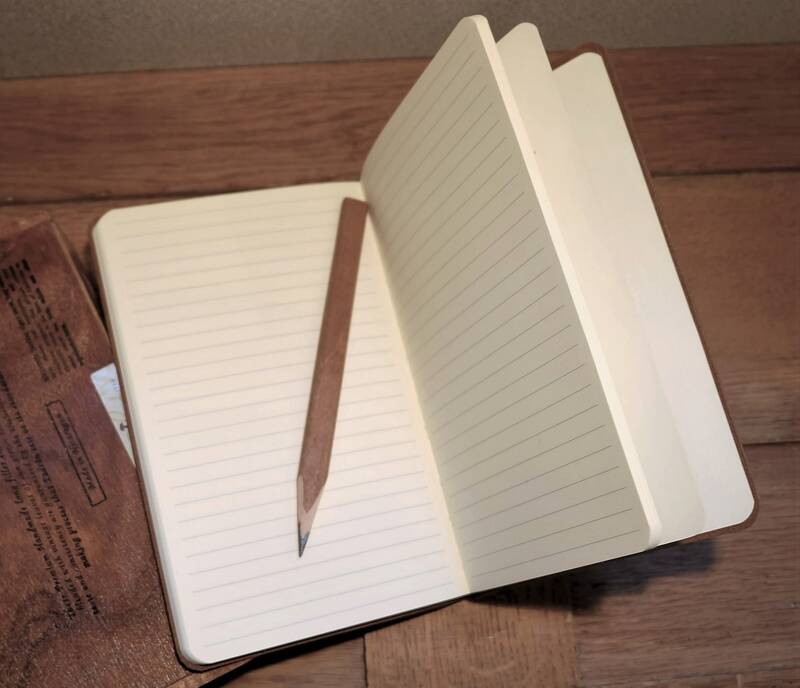 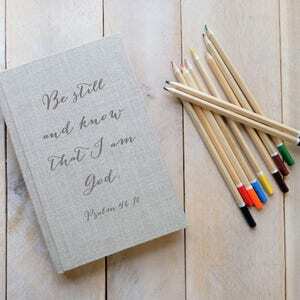 Whether it's high design or rustic renovation, every woodworker will appreciate this notebook's simple, classic design. 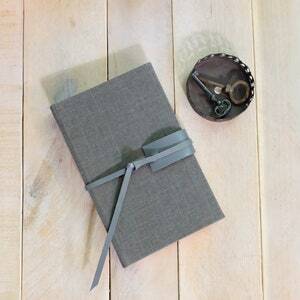 Lumber yard, barn yard, ship yard, junk yard - take this one anywhere. 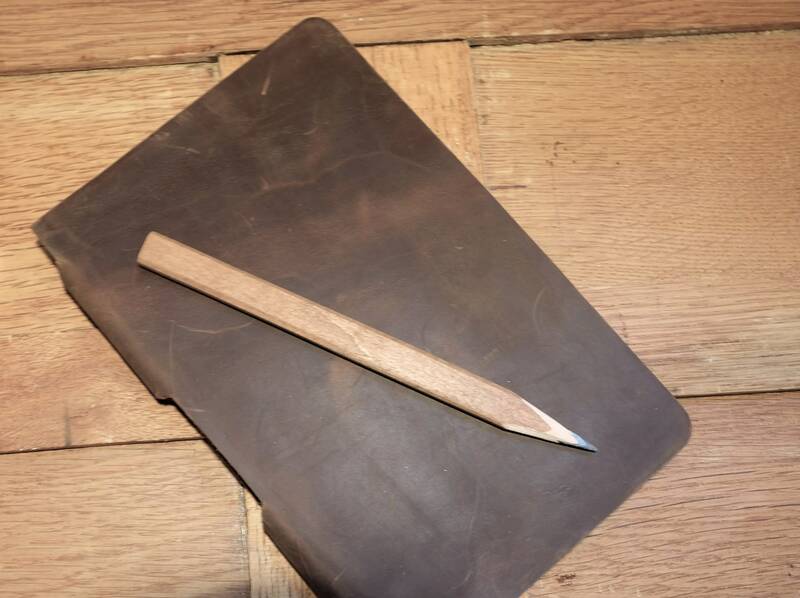 Ideal for any woodworker or handyman, professional or amateur.